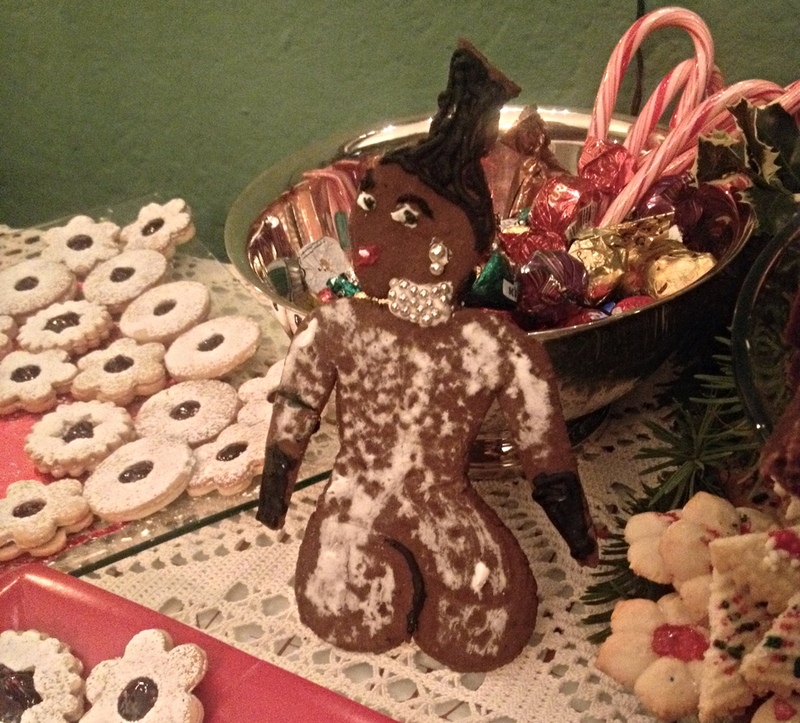 There is a tradition in my extended family of creating topical Christmas cookie. It's a whimsical review of the year rendered in gingerbread and frosting with very few subjects considered off-limits, as you can clearly see. 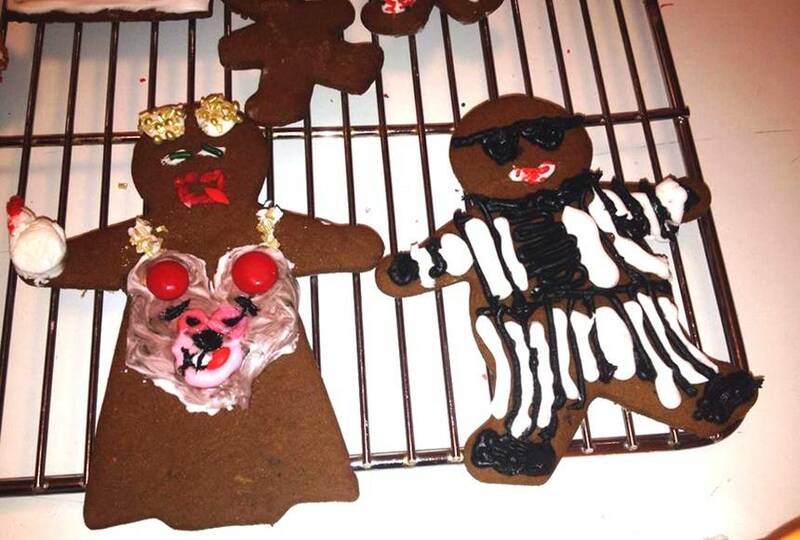 Last year we had Miley Cyrus and Robin Thicke gingerbread to represent Twerkgate 2013. This year we had pot leafs representing the legalization of marijuana in Oregon, Robin Lopez to demonstrate general Blazer pride, characters from the movie Frozen, Malaysia Flight 370(This, along with the gingerbread flight MH17, won the tasteless cookie design of the season award, though I immediately had suggestions for ways to top it. I still see cookie potential in this electron micrograph of what Ebola looks like on a microscopic level. ) and the timeless gingerbread handing flipping the bird, which is a fairly apt embodiment of this entire tradition. This year there was a perfect event to immortalize in dough and glaze. It didn't break the internet and it certainly didn't break our tradition. There is a certain anonymity to the process that makes it difficult to pinpoint which of my cousins actually made the cookie. That's probably for the best, though I have my suspicions who it was (One cousin, who shall remain nameless, was explaining how the glaze had perfectly captured that oily look before they cooked them. I believe we also silently recognized that the end result was rather... porny. Yet somehow that only seemed more appropriate.). The attention to detail was... something. Clearly the cookie was constructed after more than a passing glance at the photo. I'm not going to post the picture here but you can compare for yourself. By the end of the night it was the only cookie without a nibble. I hope your Christmas was as merry and thankful as ours, and perhaps full of fewer Ray J jokes and pregnant pauses while thinking of the least inappropriate thing to say standing over a tray of cookies.